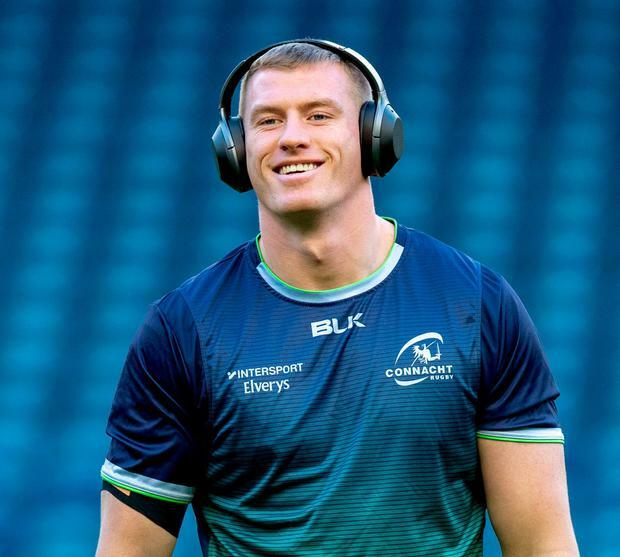 Connacht are confident that Gavin Thornbury will shake off a head knock in time to face his native Leinster in the massive interprovincial derby tomorrow. Andy Friend's side are looking for their sixth win in a row when they go to the RDS looking to down the reigning Champions Cup and PRO14 champions. Connacht haven't won in Dublin since a 26-23 victory in September 2002. Dubliner Thornbury is a former Leinster academy graduate who left for Wanganui in New Zealand following an injury and then was snapped up by Connacht. The 25-year-old lock has played 21 times for his adopted province and scored his first try against Cheetahs in Bloemfontein on December 1. "It's nice being back playing rugby. The squad is in a good place," said Thornbury. "We had two good wins in South Africa, added to the win against Dragons here and then against Perpignan. We are trying to continue that momentum and it's a good place to be at the moment. "I spent last year just learning the trade and where I was in the squad. This year I am still learning, we are all still learning. I learned a lot last year so I am just trying to pass that on to some of the younger lads. "I still have a lot to learn. I am slowly but surely getting there." Thornbury injured his shoulder in the fourth minute of Connacht's 33-20 victory over Scarlets at the Sportsground on September 22. He didn't play again until their trip to South Africa where he featured in both victories over Southern Kings and Cheetahs. Thornbury had been called into Ireland camp by Joe Schmidt ahead of the November internationals but injury cost him dearly. Last weekend he left the field with a HIA during Connacht's bonus-point win away to Perpignan, but he passed the test and wants to prove his worth against Leinster. "It was a great experience in Irish camp. I went into camp and it was a massive honour and learning experience," said Thornbury. "It's a great place to be. All I can do is keep getting picked here and keep playing well. Hopefully the call comes. The focus is very much here. "I don't think there is any good time to be injured. It was devastating but thankfully I deal with superb physios and S&C staff and they got me back as quick as possible. I am feeling really good now. Hopefully that injury is behind me for the rest of the season. "All I can do is keep playing here. This is my focus at the moment, get picked and play well for Connacht."